The human liver is among the some of those in the animal kingdom that do not change in size during pregnancy. In fact, there are not many changes in the morphology when tissue biopsies of livers from pregnant women are examined. However, there is a distinct increase in the hepatic arterial and portal venous blood flow as pregnancy progresses. Leucine aminotranspeptidase – increased due to the presence of pregnancy-specific enzymes with distinct substrate specificities. The presence of this enzyme in non-pregnant individuals denotes liver disease. Otherwise known as recurrent jaundice of pregnancy, cholestatic hepatosis or icterus gravidarum, this condition commonly affects women who are pregnant with 2 or more fetuses and is influenced by genetics. It is characterized by itching and jaundice. ATP8B1 – encodes Farnesoid X receptor and transporting ATPase. Some drugs are also known to exacerbate the dysfunctions in bile acid transport. An example of which is azathioprine, a commonly used anti-rejection medication given for post-transplant patients. The impaired clearance of bile results in its accumulation in the plasma and is manifested as hyperbilirubinemia. This could regress after delivery but can recur in subsequent pregnancies. Intrahepatic cholestasis is managed supportively. Itching is controlled by giving antihistamines and topical emollients. The prescription of cholestyramine is still debatable because it interferes with the absorption of fat-soluble vitamins needed for the maintenance of the pregnancy. This disorder can also be called acute fatty metamorphosis or acute yellow atrophy. It has been identified as the most common cause of acute liver disease among pregnant women. 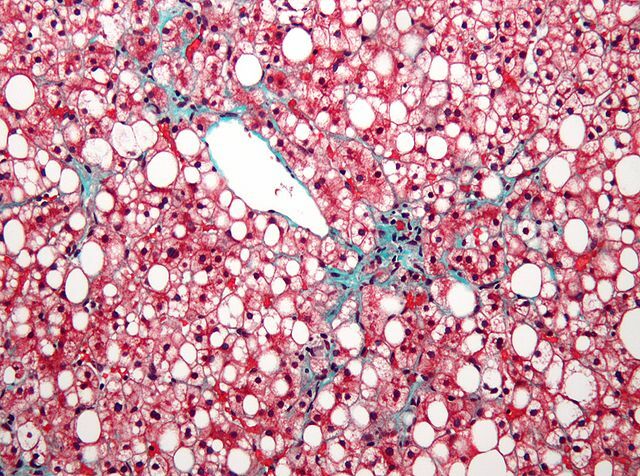 Fat vesicles accumulate and crowd into the parenchyma of the liver and alter the normal functioning of hepatocytes. The liver then appears yellowish, soft, greasy and small. Another cause that could contribute to the development of the disorder is problems in the enzymes needed for the oxidation of fatty acids. Patients with severe preeclampsia, especially in the presence of HELLP syndrome are also predisposed to develop acute fatty liver. Pregnant women with acute fatty liver manifest with persistent nausea and vomiting, anorexia, abdominal pain, jaundice, hypertension, edema, and proteinuria. There can also be some degree of clotting dysfunction due to the impairment in the synthetic functions of the hepatocytes. Supportive care is very important in the management of pregnant women with acute fatty liver. More often than not, the viability of the fetus is already severely compromised at the time of the diagnosis. If not dead, viable fetuses tolerate labor poorly. Opting for a caesarean delivery to shorten the recovery time of the liver can result in more serious complications due to the presence of coagulopathy. For this reason, a trial of labor induction with close fetal monitoring is done. Most of the times, the liver regresses to its normal state after delivery, although some problems can occur such as transient diabetes insipidus. The availability of preventive and curative measures that address viral hepatitis has contributed significantly to the declining number of cases of the disease, including in the pregnant population. Although not directly hepatotoxic by itself, the hepatitis virus can induce several immune reactions that can cause damage to the hepatocytes. Enterically transmitted, both these viruses can cause subclinical and overt signs and symptoms that are indicative of liver inflammation. However, cases of hepatitis A have declined significantly due to the presence of vaccination programs all over the world, especially in developing countries. Hepatitis E, on the other hand, is known to be the most common cause of viral hepatitis and has been implicated in a lot of epidemic outbreaks in developing countries. In rare cases, this virus could cause fulminant hepatitis among pregnant women. Pregnant patients with this disease are advised to eat a balanced diet and take plenty of rest. For patients with less severe manifestations, they can be managed on an outpatient basis. These viruses have not yet been found to be teratogenic to the fetus, but can cause certain problems such as preterm birth and neonatal cholestasis. Hepatitis B is transmitted by exposure to infected blood or body fluids. It has a very long incubation period and can remain asymptomatic for quite some time. Even if it does start to manifest symptoms, these are only nonspecific, making it more difficult for diagnosis. It is responsible for almost half of the cases of fulminant hepatitis. In chronically infected individuals, they may remain asymptomatic indefinitely and become carriers of the disease. Although vertical transmission to the fetus is negligible, prophylactic measures are instituted to prevent neonatal infection. Hepatitis D viruses can only cause infection in the presence of the hepatitis B virus. It can either coexist with hepatitis B or occur secondarily. Cases with both viruses involved usually result in more morbid or even fatal sequelae. Transmission of hepatitis C occurs through blood and body fluids. Patients who are HIV-infected, IV drug users, hemodialysis patients and children born to infected individuals are at increased risk for the viral infection and are therefore suggested to undergo screening. Prenatal screening for high-risk women is also encouraged. Only a small amount of the infected individuals develop specific symptoms such as jaundice. Most of them only show generalized symptoms or even remain asymptomatic for quite some time. The majority of the patients infected with hepatitis C will become carriers of the virus and become chronically infected. Around a third of them develop liver cirrhosis. However, the prognosis for the disease is generally excellent especially if managed promptly. Fetal risks such as low birth weight, NICU admission, preterm delivery, and mechanical ventilation have been reported among women who have been infected during pregnancy. However, it must be put into mind that the high-risk lifestyle associated with hepatitis C infection may also play a crucial part in the development of maternal and fetal complications. Mothers with viremia are more likely to transmit the virus to the fetus. Unfortunately, there are still no vaccines available against hepatitis C.
The identification of the causative agent for various cases of hepatitis is very crucial in the sense that treatment for each varies significantly. In some cases, the pathogen, may it be a virus or another foreign body, can cause hepatic damage without directly insulting the hepatocytes. Damage is achieved once the immune system is engaged to attack the invading agent. Activated T cells are then deployed to the area of invasion and unintentionally attack the surrounding hepatocytes. 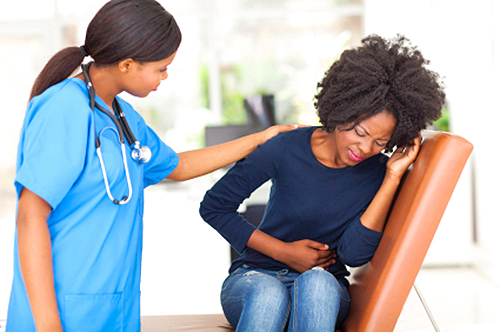 Chronic autoimmune hepatitis is more common among women, especially among those who also have other autoimmune diseases such as thyroiditis, ulcerative colitis, type 1 diabetes, and rheumatoid arthritis. Generally, prognoses for pregnant women with autoimmune hepatitis are good, given that proper measures to control the disease are instituted promptly and consistently. Medications such as corticosteroids may help alleviate the condition. This condition is also referred to as steatohepatitis, and when uncontrolled, can lead to cirrhosis. It is somewhat similar to alcohol-induced liver damage in terms of morphology but without any evidence of alcohol abuse. It usually occurs with other conditions such as type 2 diabetes, obesity, and hyperlipidemia. 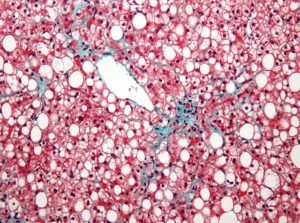 Although most cases do not show any evidence of abnormal liver enzyme levels, steatosis may be very prominent in high-risk patients. Especially diabetic and obese pregnant women are at higher risk for developing the disease. Steatohepatitis is actually a part of a continuum that starts with non-alcoholic steatohepatitis and ends with hepatic cirrhosis. Since steatohepatitis is asymptomatic, patients may present with very high levels of aminotransferases when they start to manifest signs and symptoms. Wight loss and control of existing comorbidities such as diabetes and dyslipidemia is the primary mode of intervention for pregnant patients with non-alcoholic fatty liver disease. 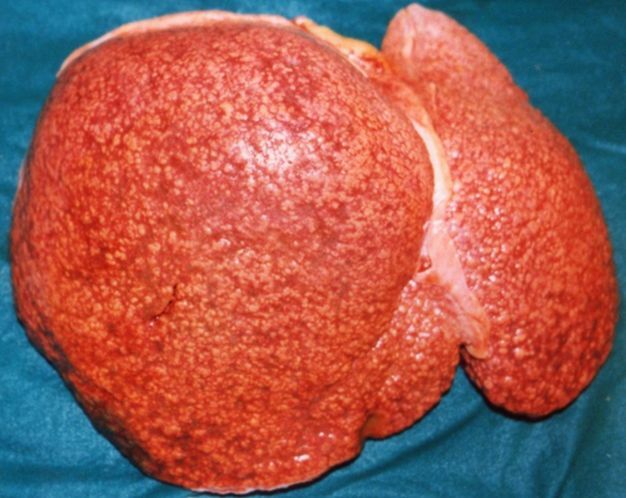 Liver cirrhosis is usually irreversible and is characterized by a profound fibrosis of the liver parenchyma. In an effort to compensate, the liver tries to regenerate the fibrosed areas, forming multiple nodules. Cirrhosis is commonly the endpoint for many liver diseases. Cryptogenic cirrhosis – results from non-alcoholic fatty liver disease. Manifestations may include jaundice, edema, coagulopathy, metabolic abnormalities, and portal hypertension. Generally speaking, nonpregnant women who have cirrhosis are infertile but if they do get the disorder while being pregnant, they generally have poor outcomes. Sequelae can include transient hepatic failure, variceal hemorrhage, preterm delivery, fetal growth restriction, splenic artery aneurysms, and maternal death. Pregnant patients with liver cirrhosis are managed the same way as with those who are not pregnant. Screening procedures for the identification of serious complications including the presence of bleeding from esophageal varices are recommended. Portal pressure and esophageal varices are addressed by giving beta blockers. Acute bleeding from varices should be managed promptly. The availability of acetaminophen as an over-the-counter medication for fever and pain has contributed much to the prevalence of liver damage caused by drug toxicities. Even among pregnant women, acetaminophen is the most commonly used pain reliever. The damage caused by the harmful acetaminophen metabolite N-acetyl-p-benzoquinoneimine or NAPQI causes massive hepatocyte damage and a subsequent cytokine storm may follow. Manifestations of acetaminophen toxicity are nonspecific and can include nausea, vomiting, sweating, fatigue, and pallor. The management depends on the dosage of the drug taken and the span of time that has elapsed from the ingestion. The most commonly used antidote for acetaminophen toxicity is N-acetylcysteine. The correct answer can be found below the references. Which among the following situations indicate that the patient is at high-risk for developing intrahepatic cholestasis should she wish to conceive a child with her partner? Cunningham FG, et al. Williams obstetrics, 24th ed. New York, NY: McGraw-Hill Education; 2014. Kumar V, Abbas AK and Aster JC. Robbins and Cotran pathologic basis of disease, 9th ed. Philadelphia, PA: Elsevier Saunders; 2015. Ridell R and Jain D. Gastrointestinal pathology and its clinical implications, 2nd ed. Philadelphia, PA: Lippincott Williams & Wilkins; 2014.